The Best Books Ever: Joint Review- Delirium Stories and Requiem + Giveaway! Joint Review- Delirium Stories and Requiem + Giveaway! Delirium Stories is a collection of short stories that take place between each novel in the Delirium series. Although they don't have to be read in between the actual books, I would highly recommend reading all of them before you read Requiem. Hana really plays a much larger part in the last book than I expected- if I wouldn't have read her short story beforehand, I would have been incredibly confused. Requiem is the final book in the Delirium series. I was pretty fearful to read Requiem. Last books in trilogies tend to fall flat for me. All in all I really enjoyed Requiem. I have to hand it to Lauren Oliver- she handled the love triangle that showed up at the end of the second book well. Sometimes love triangles can be downright painful to read. Although I wasn't sure who I wanted Lena to be with at the end of the story (I tend to root for the underdog). 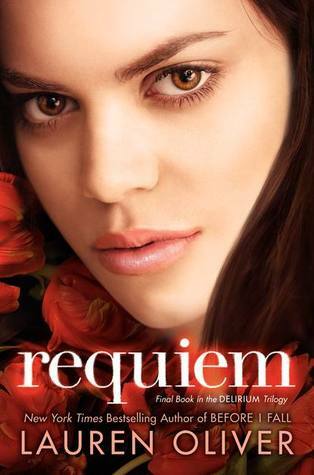 Requiem was everything I hoped it would be- exciting, dramatic, and full of dystopian goodness. I really enjoyed reading more about Hana. It was incredibly interesting to read about what happened on the "other" side. I liked Hana's honesty, and the struggle between who she was and who she is. I also really appreciated the hints that Oliver left that perhaps Hana's surgery didn't work, or didn't work completely. Requiem was a fantastic book... until the last chapter. I legitimately went looking to see if pages had been torn out of the end of my book. ***spoiler alert*** Requiem doesn't have a resolved conclusion. We have no idea who Lena ends up with, if Hana survives, or if ANY of them survive. I have to say- it was a harsh way to end a great series. So for 99% of the book I give 5 stars. For the last 1% I give 1 star. 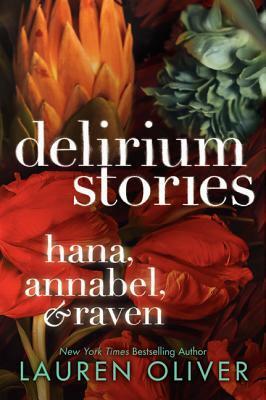 Want to win a copy of Delirium Stories and Requiem? Enter the Rafflecopter below. Sorry US only! I haven't read this series yet and I'm looking forward to reading it. I've read A LOT of GREAT reviews on it. Thank you so much for a great giveaway!! !